So you have just received a bouquet of beautiful red roses, and now you wonder about the 10 Roses Meaning? No one can deny the appeal of being given stunning carnations. There is something romantic about this tradition. But do you know that the number of stalks you’re given has its own meaning? There are a lot of ways to express your deepest feelings and innermost thoughts. 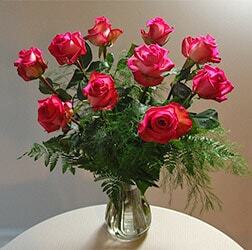 For centuries, roses have been widely used to convey a myriad of different messages. From gratitude to bereavement. From love, to honor. Regardless of the occasion, roses have always been an integral part of the event. Its flexibility is undoubtedly the reason why they are incredibly popular. The rare black rose, for instance. While it’s actually a darker shade of purple, it’s used to convey a message of sorrow and for others, rebirth. White rose is the polar opposite; it’s widely used to symbolize loyalty, innocence, and purity. Red rose does not need further introduction. It has been widely recognized the symbol of love. But do you realize that the meaning of your bouquet is not restricted to colors? Yes, it does not matter whether you are the giver or the recipient. Knowing the true meaning of the number of these beautiful blossoms beforehand may come in handy. Not only will you be able to express your complex feeling more clearly. You will also be able to express it in the most unique and romantic way possible. From one single stalk, to one-thousand stalks, we will help you with our guide. On the first date, you may want to impress your love interest. Giving them a single rose is, without a doubt, a great start! Giving a red rose is a way of expressing your affection as it’s a universal symbol love at first sight. However, it’s worth noting that a single rose given after years of being together has different meaning. In such case, the meaning shifts to how you still love them after all these years. Are you and your loved one finally decide to make things official? Two red roses is a good symbol of shared, and mutual love. 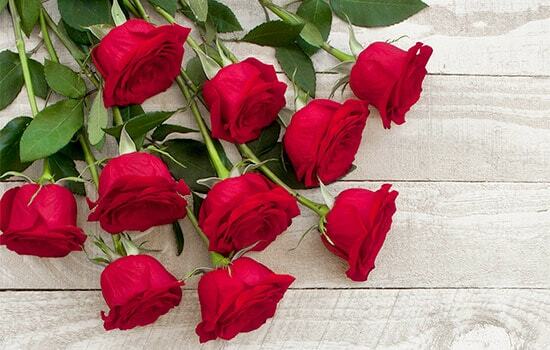 Additionally, on the anniversary you may celebrate by giving out three stalks of red rose that means ‘I love you.’ But what about a stunning arrangement consisting of ten roses? While the giver is only one who understands the true meaning behind it, curious recipient may get a hint. Ten being the perfect score in many walks of life signify perfection. When you receive ten single red roses, more often than not this is a symbol your perfect love. You may very well be the greatest lover your loved one comes to know! However, that is not the only meaning attached to ten red roses. When you are still in the beginning stage of a relationship, this may mean differently. Yes, the perfect score may signify your beauty as it’s a way of expressing how incredibly beautiful you are. Which one of these 10 Roses Meaning applies to you?